BigPipe broadband here. We are a new ISP looking to make things a little different from the way things are traditionally done in NZ. All our plans are naked broadband, have no data cap, no connection fee, and no term contract. So you pay the same price every month, no matter how much data you use, and having no term contract means you're free to leave at any time, which helps keep us on our toes. We have ADSL and VDSL, and UFB is on our roadmap. Check us out at www.bigpipe.co.nz where you can register interest. We haven't launched fully yet, but we'd love to get some geekzoners on BigPipe as early stage triallists, make sure we are building things right and getting our processes etc as good as they can be. So if you like the idea of naked broadband with no datacap, give it a try. Our plans are perfect for you guys we think, and we know you aren't afraid to give feedback about your ISP, which is exactly what we need from you. I do see you have some nice plans. I was wondering, i see its free for connection, no ETC and leave anytime. What do you do in terms of CPE? Is that BYO? We found with our research that the kinds of people who like Naked Uncapped data generally prefer to bring their own modem anyway. So we think why waste money giving something to somebody who doesn't want it? And that's the philosophy we apply to our whole business. Hence no landline, no 'free' modem, no 'free' antivirus, no 'free' email, no 'free' Sky TV services etc etc. To answer your question, free connection applies to our trial. We may, or may not, keep that when we do full launch, depending on how it goes. That's the purpose of the trial after all! We'd love to have you on board though - it'd be pretty nice to be able to say VF employees are choosing us over Vodafone! We do get a nice discount. Reason why i was wondering as i live with the rents and they wont get VDSL connected. (They pay the bills and i dont complain) Recently been needing more of an upload and we live 2 houses outside the fibre zone. wow! you are right. They even like Orange too! Nothing to do with us though. I wonder if they used the same web designer and he loves the images of kiddies strapped to planes? *Disclaimer, I do work for Think. Ah ok. I assume you have checked to see if you can get VDSL? We've only got limited spaces on the trial, but go ahead and register and I'll speak to the guys tomorrow. Its just another service lead (considered a second connection to chorus. Just another ASID) I live 5 meters from the cabinet that has VDSL capability and i have the master filter. Many people dislike you now if that's indeed true. should be fine then I guess. Go ahead and register if you haven't already and we'll be in touch. 5m from the cabinet? Nice! 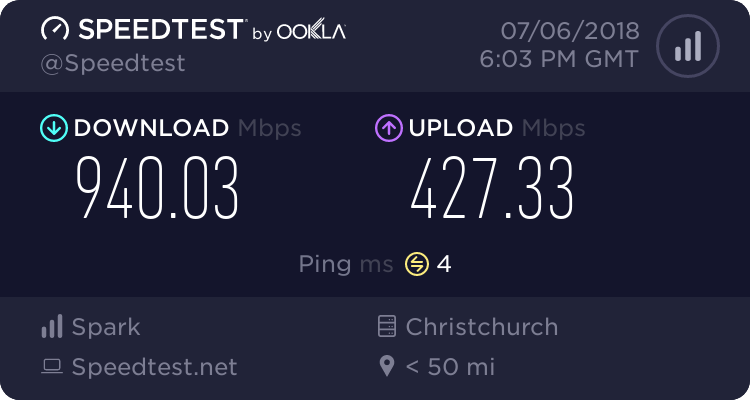 I live about 40m, and VDSL is working like a dream. 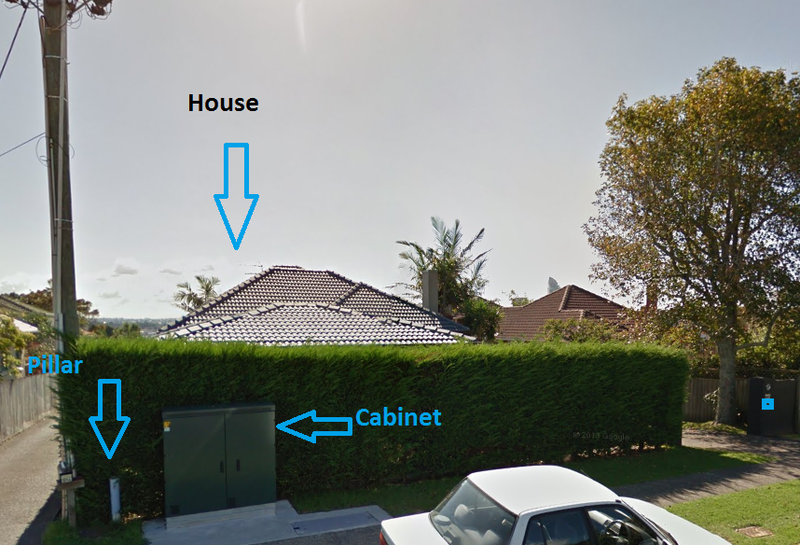 Its a green cabinet next to a green hedge. Doesnt impair my views or property value. I would have been keen to switch if I wasn't still on contract with Woosh. A free connection will still cost me $150 because of this. Although I will have to break the contract anyway in the next month or so. Fibre has been installed in my street but is not ready for connection yet. Don't really want to change ISPs just for a month or 2. Although best of luck with the trial and Im glad that someone is offering different speed limits as the main difference between base and high end plans. Aredwood: I would have been keen to switch if I wasn't still on contract with Woosh. A free connection will still cost me $150 because of this. Although I will have to break the contract anyway in the next month or so. Fibre has been installed in my street but is not ready for connection yet. Don't really want to change ISPs just for a month or 2.
cheers for that. Yeah, we won't be covering people's contract termination fees I'm afraid (not that you were expecting us to, but just for other people's benefit). But you can go ahead and register on our page anyway if you haven't yet. If we send you an invite you can check out more details and see if it works for you and choose to sign up, or not, at that time.